By now, if you’ve read anything I’ve written, seen anything I’ve posted, talked to me for more than 2 minutes or even glanced at my site out of the side of your eyeball you know I’m all about Career Design. I’m SO into it, I created a FREE COURSE to teach you how to do it. Cool? Ok. So what the hell is Career Design? Between working with clients and candidates and just talking to as many people as I do about their career aspirations, a pattern showed up. A fairly un-pretty, not at all decorative pattern. Turns out, A LOT (like WAY too many) people sort of “fell into” their careers. It doesn’t mean they don’t like their careers or that that they wish they were doing something else but for many it does mean that once they fell into it they sort of “set it and forget it” and now they find themselves sort of just “in” it. They have no real goals set, no idea how to grow, they’re unclear on what next steps might even be available to them. There’s also the people who work really hard to get a particular job title and then once they’re there have no idea how to continue growing, how to keep the work fulfilling. They often think that getting into the job was the end game and now they’ll be ushered along a primrose path of growth by their superiors….. nuh unh. Your career is just like any other relationship - you gotta work on it! Make sure you work somewhere your goals can be met, you can learn from and has clear growth opportunities. Work WITH your management team to make those milestones. Repeat steps 1-5 as many times as you feel necessary. Don’t get me wrong, there’s work behind each of these “simple” steps. For instance, Step 1 hinges on your “why” (like your big life WHYS) - which you gotta own up to. And Step 4 can be anything from ‘Get a Promotion to Jr. from intern’ to ‘Retire your husband because you’re ballin’ as a partner in your own agency’. It’s totally personal. I’m not going to lie and say it’s an easy process (I like ya too much), but it’s an incredibly important process. Look. If you’re a free wheelin’, hippie spirit who just wants to float on the sands of the wind and has no need for goals or job growth - more power to ya sister! - this just ain’t for you. But if you’re most of us, you need direction. A place to get to and a map of how to get there. Career Design is your map and your compass. Enter your info and get your FREE course today! Success! 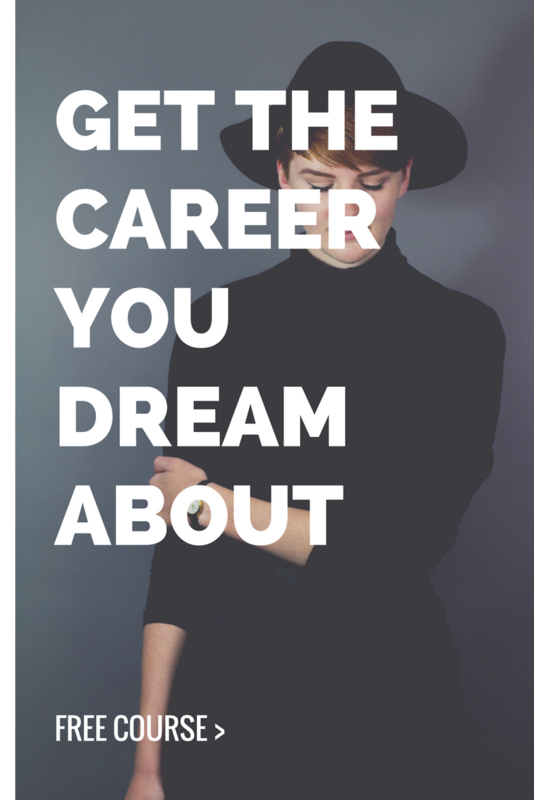 Career Design 101 comin' to your inbox!